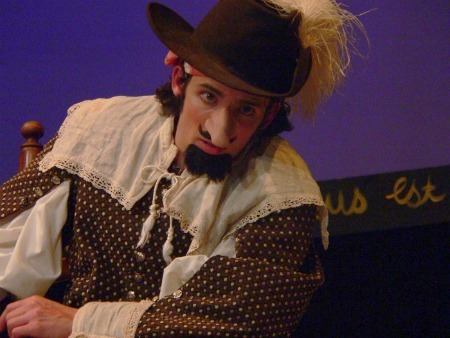 "His wit is as sharp as his sword, his talent and passion as large as his nose. 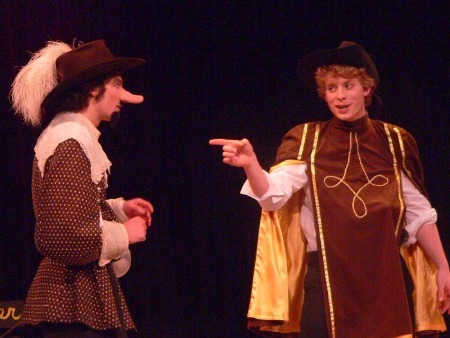 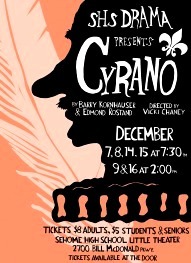 The uniquely endowed protagonist of Cyrano de Bergerac is given a fresh face in this poignant and playful verse adaptation by award-winning playwright Barry Kornhauser. 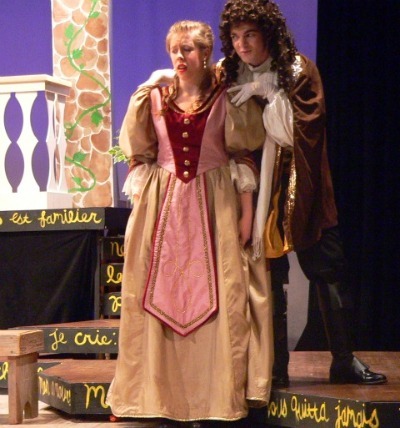 Vicki Chaney directs this portrait of that enduring hero of imperfection and his classic love triangle with the exquisite Roxanne and the handsome but verbally challenged Christian. 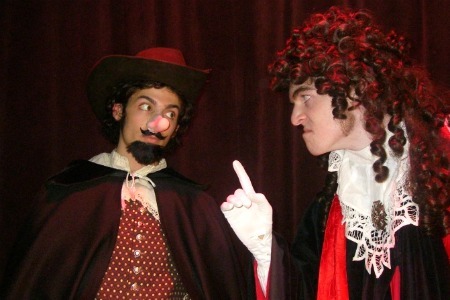 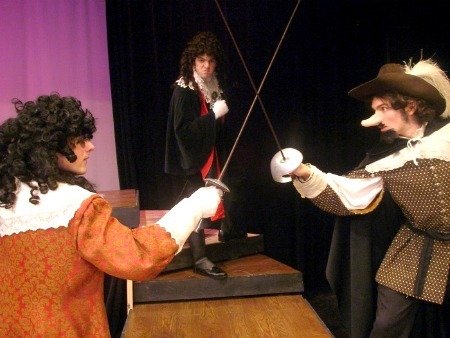 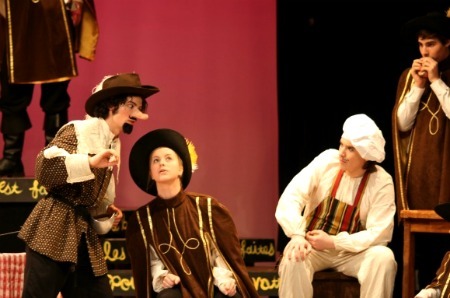 The witty comedy, swashbuckling sword fighting and heart breaking love of Cyrano combine for a great evening of theatre. 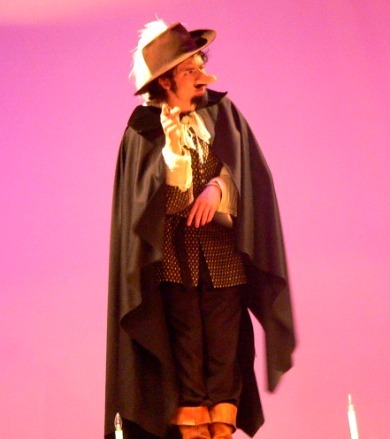 Performed December 2007." 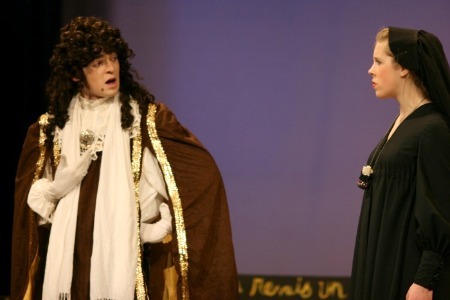 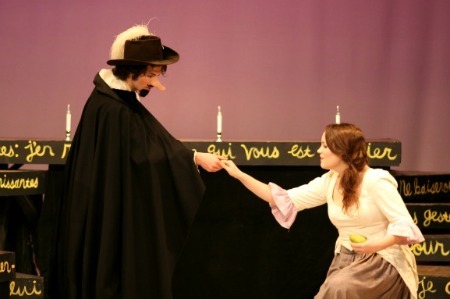 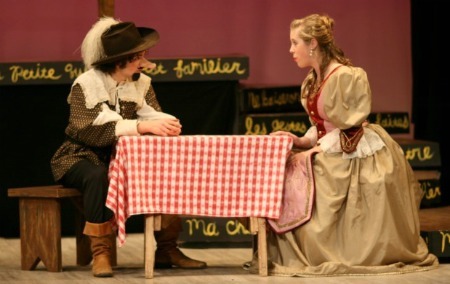 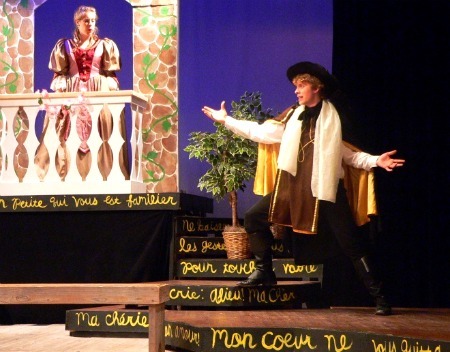 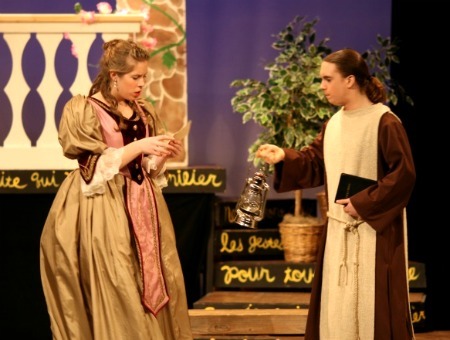 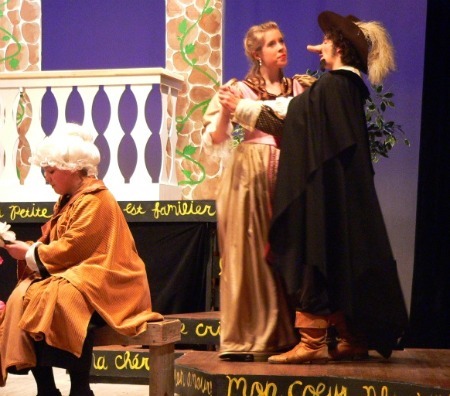 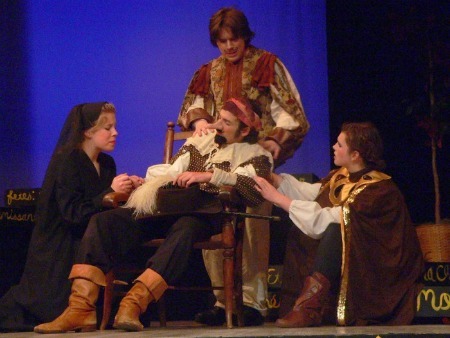 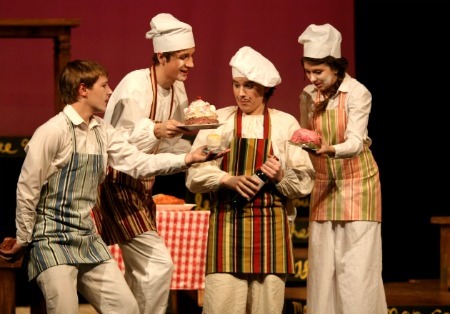 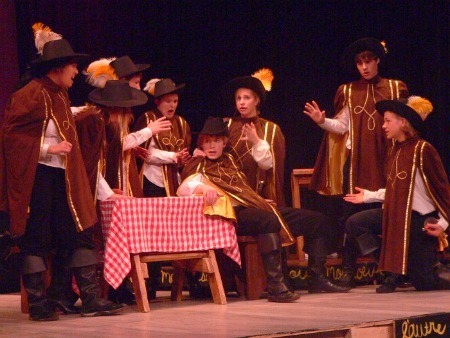 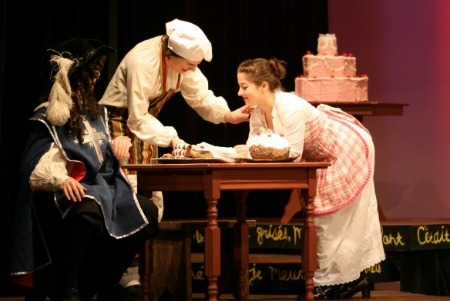 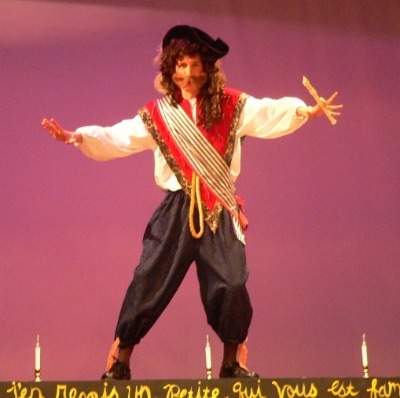 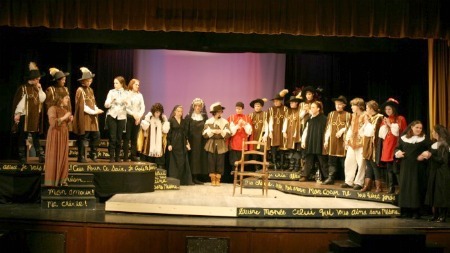 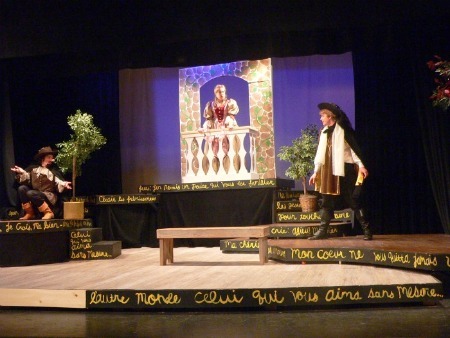 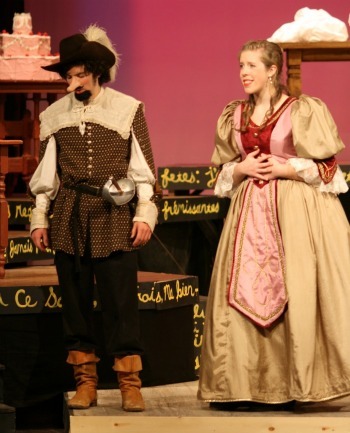 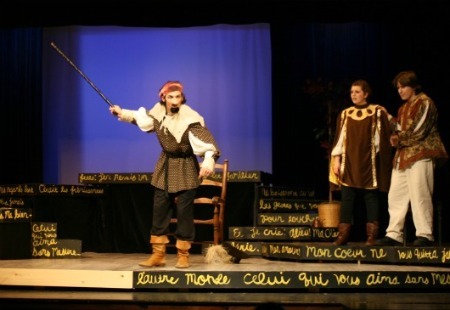 Photos : © Sehome High School Little Theatre (SHS Drama), www.sehomedrama.weebly.com. 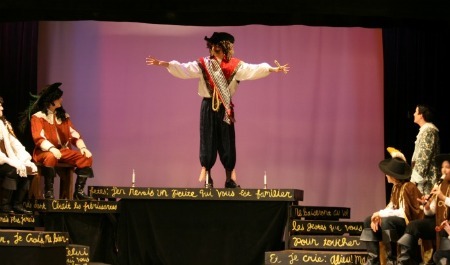 Publié le 28 / 06 / 2011.